The Cessna TTx T240 is a fixed-gear, low-wing, general aviation (GA) airplane made of composite materials including carbon fiber and Nomex. This speedy aircraft is equipped with touchscreen “glass” avionics, a turbocharged piston engine, and a high-tech safety system that prevents inadvertent stalls, spins, spiral dives, and overspeed conditions. The Cessna TTx T240 evolved from the Columbia 400/Cessna Corvalis TT; or twin turbo, and before it, the normally-aspirated Columbia 300. The 300 was derived from the Lancair ES homebuilt airplane, an unpressurized Lancair IV. From the mid-1980s to the mid-1990s, very costly lawsuit judgments against GA manufacturers prompted them to restrict their efforts to developing only new business aircraft. Consequently, the demand for homebuilt airplanes increased. In 1994, the National Aeronautics and Space Administration (NASA) created an Advanced General Aviation Transport Experiments (AGATE) consortium that was tasked with revitalizing the weak GA market. NASA used a Lancair ES for AGATE research. 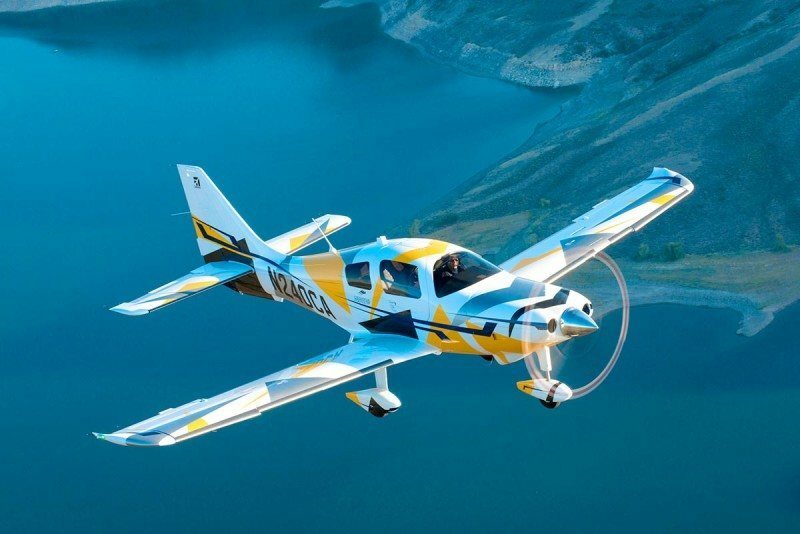 A new Lancair company, Pacific Aviation Composites USA, was established in Redmond, Oregon in April of 1995 and subsequently renamed Lancair Certified (LC). In 2005, LC became the Columbia Aircraft Manufacturing Corporation, which was bought by the Cessna Aircraft Company in November 2007. Part of Cessna’s engineering and certification process for the TTx T240 involved 171,000 cycles of fatigue testing of its composite airframe which was equal to approximately 120 years of service life. It is the only aircraft in its class to be certified by the Federal Aviation Administration (FAA) in the Utility category. FAA certification happened in July 2013. The Cessna TTx T240 has a six-cylinder, fuel-injected, twin-turbocharged (with dual intercoolers) Continental TSIO-550-C engine that produces 310 horsepower at 2600 rpm. Spinning a three-blade, constant-speed McCauley propeller, the powerplant yields a true airspeed of 210 knots (389 km/h) and a fuel flow of 18 US gallons (68 L) per hour at a cruising altitude of 13,500 feet (4,115 m). Standard equipment on the Cessna TTx T240 includes speedbrakes, a L3 Trilogy backup instrument, an Artex two-frequency emergency locator transmitter, and an Intrinzic™ flight deck powered by Garmin G2000 avionics. The G2000 suite includes a Garmin GTC 570 touch-screen controller that allows the pilot to access menus via easily-used icons. The Cessna TTx T240’s Engine Indication System, or EIS, displays a full suite of information on the G2000 multi-function display including manifold pressure, propeller speed, oil pressure and temperature, fuel quantity and flow, cylinder head and turbine inlet temperatures, and electrical system voltage and amperage. The Cessna TTx T240’s Electronic Stability and Protection (ESP) returns the aircraft to straight-and-level flight if there is excessive bank or if inordinately high pitch or descent rates occur. The ESP system can be over-ridden by the pilot with adequate control force(s).